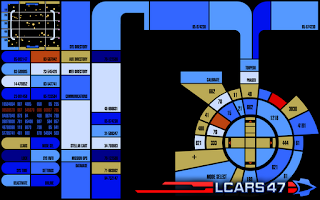 A long, long time ago, I made a joke about having the ability to fire weapons in LCARS 47. It was meant as nothing more than a simple ponder to keep one's self amused. Well, some users have been asking me why there is no weapons system in LCARS. Simply put, it would look out of place. 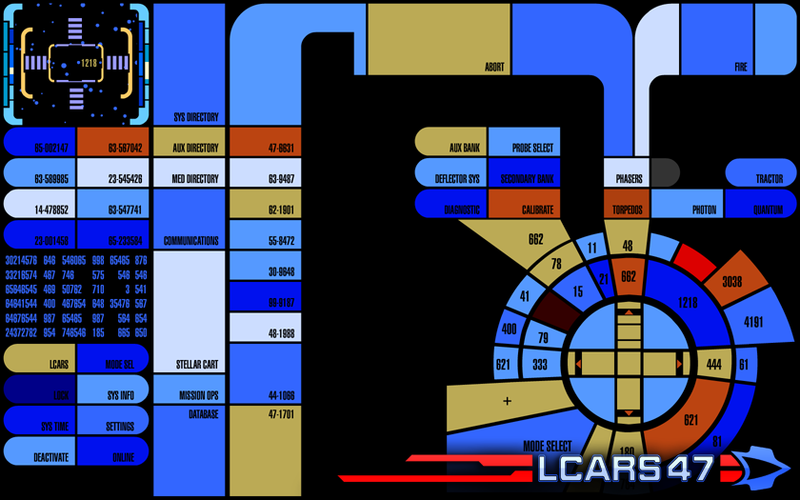 But now, I've decided to invest some time in it (with extensive help from LCARS Developer, I might add). It's all starting to come together—albeit a little sparse at the minute. The weapon system is nearing completion. You'll need to select the weapon type before you can fire anything. I've also added a "diagnostic mode", which doesn't really do anything other than make the weapon select buttons flash red.